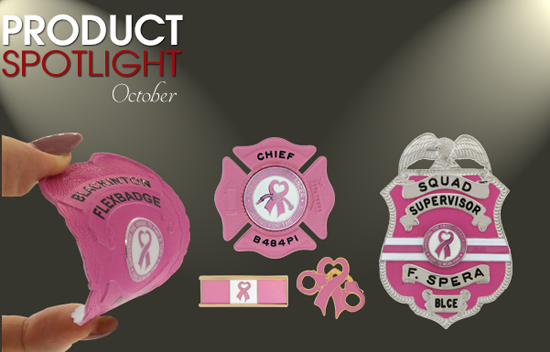 October is Breast Cancer Awareness Month, which means Blackinton is once again showing its support by spotlighting its pink products. You are seeing it correctly: Blackinton can finish its popular FlexBadges pink as well. Blackinton has the original pink police and fire badges—a line it launched in 2012. With your help, the company has raised over $14,000 for breast cancer research and support charities. CLICK HERE to see the complete line, and remember, most badges can be finished pink, including the company’s new new B3606 (above, far right).